A Town Hall-style event can enliven your meeting and engage your audience. 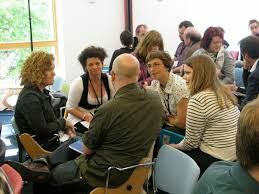 Arizona Town Hall's unique process can be adapted to just about any group gathering at which a topic will be the focus of group consideration. Put yourself in the place of your audience, members, guests, or employees and ask which you would prefer. 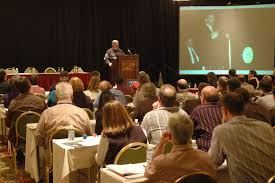 Arizona Town Hall can help you plan and implement your own Town Hall-style event. Arizona Town Hall has helped to plan and implement Town Hall-style events for many different types of groups. Whether you want to engage your group in constructive discussion and decision making or simply entertain an audience at a lunch or dinner meeting, we can help you to carry out a successful event that will get people talking, in a good way. To find out more, click the links below.